China is hitting the accelerator on space exploration with Chinese scientists becoming the first to send an “unbreakable” code from a satellite to the Earth. 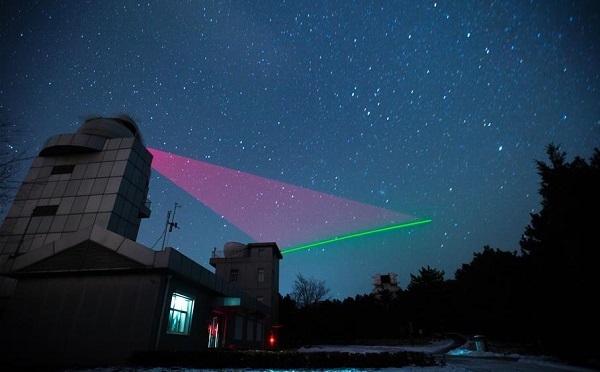 This marks the first time space-to-ground quantum key distribution technology has been realised, in what state agency Xinhua called “laying the foundation for building a hack-proof global quantum communication network”. The achievement was was published in the authoritative academic journal Nature on Thursday calling it a “milestone”. China launched the world’s first quantum satellite, Nicknamed “Micius”, on 16 August last year, to help establish “hack proof” communications. Xinhua quoted Pan Jianwei, lead scientist of the project QUESS and an academician of the Chinese Academy of Sciences (CAS), saying the satellite sent quantum keys to ground stations in Xinglong, in north China’s Hebei Province, and Nanshan near Urumqi, capital of northwest China’s Xinjiang Uygur Autonomous Region. “Satellite-based quantum key distribution can be linked to metropolitan quantum networks where fibers are sufficient and convenient to connect numerous users within a city over 100 km. We can thus envision a space-ground integrated quantum network, enabling quantum cryptography – most likely the first commercial application of quantum information – useful at a global scale,” Pan said. Since 1970, China has launched more than 100 satellites for weather and disaster monitoring, communications and navigation. China is also developing the homegrown Beidou navigation network as an alternative to the US-run Global Positioning System. Apart from Russia, China is one of America’s biggest rivals in space exploration. China plans to land “taikonauts” on the Moon by 2036 and Mars thereafter.